Shimani Cycling Shoe Size EU 43 in excellent condition. Condition is Used. The shoes feature a stiff fibreglass injected hi-impact nylon outsole to enable you to achieve efficient and effective power transfer when pedalling. Hardly used with little sign of wear, one scuff on the rear of one show shown on the images. Good cycling shoes plenty of wear left. DHB R1.0 Road Shoes. SPD-SL White Size 43. Condition is New with box. Dispatched with Royal Mail 1st Class. 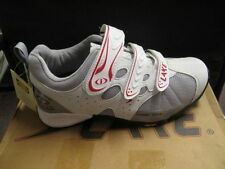 Giro Trans E70 Road Bike Shoes Size 43. Condition is Used but worn twice, for a very short period. Dispatched with Royal Mail 2nd Class. Wegen künstl. Knie und Künstl. Hüfte muss ich MTB aufgeben. Biete gut erhaltene, genig benützte MTB-Schuhe mit Cleats von Shimano an. Karbon, Kunstleder, Textil, Atmungsaktiv, Gummisohle. Es muss mal wieder Platz im Kleiderschrank gemacht werden. Habe das Biken aufgegeben. Modell: Fahrradschuh, TEMPO 12, MTB, All Rounder, Mountainbiking, Langstrecken tauglich. Wegen künstl. Knie und Künstl. Hüfte muss ich MTB aufgeben. 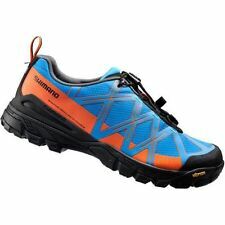 CHAUSSURES SHIMANO M086. POINTURE 43. POINTURE : 43. Consulter nos évaluations. PLUS DE PHOTOS OU D'INFORMATIONS SUR SIMPLE DEMANDE. Modele: CRONO. Pointure: 43 UK=9 US=9,5 IT=42. Idéal pour ceux qui veulent un chaussage rapide. Chaussures Specialized S works 6. taille 43 = 27,5 cm. La boucle carbone pour un serrage micrométrique est associée à deux brides renforcées kevlar pour un serrage précis, sûr et puissant. La languette est interchangeable et lavable. - Pointure : 43. - Coloris : Blanc. CHAUSSURES DE CYCLISME ROUTE GAERNE G-MOTION RED POINTURE 43 NEUVES ! Couleur : jaune HiViz. Vends cause double emploi paire de chaussures VTTLouis Garneau Slate. Style : VTT. Taille : 43. Réflecteur au talon : Améliore la visibilité. 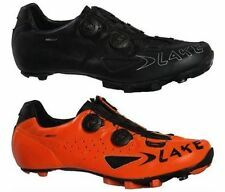 CHAUSSURES DE CYCLISME ROUTE GAERNE COMPOSIT G-CHRONO RED POINTURE 43 NEUVES ! 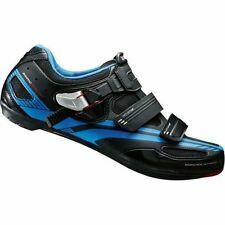 CHAUSSURES DE CYCLISME ROUTE GAERNE COMPOSIT G-SPEED RED POINTURE 43 NEUVES ! A snug, durable, breathable shoe which transfers power to the pedal and comfort to the rider. Chaussures VTT MT7 Rubis - Homme - 43 SHIMANO Chaussures VTT MT7 Rubis - Homme Nous ne livrons que la France Métropolitaine ! Si vous habitez dans les DOMTOM, la Corse ou Monaco, merci de nous contacter par message. 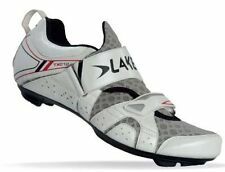 CHAUSSURES DE CYCLISME VTT GAERNE G-RAPPA SILVER POINTURE 43 ABSOLUMENT NEUVES !